Hebden Bridge Picture House has occasional dementia friendly screenings to provide an opportunity for people with dementia, together with friends or family, to enjoy a trip out to the cinema. 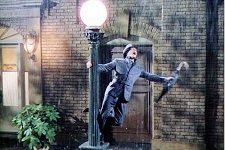 On Saturday 24 February the Picture House will be screening Gene Kelly, Debbie Reynolds and Donald O’Connor starring in Singin’ in the Rain (1952), one of the greatest and most successful musicals ever filmed – filled with memorable songs, lavish routines and Kelly’s fabulous song-and-dance number performed in the rain. Screening at 11:00am, with doors opening at 10:15am, and tickets only available to purchase on the door, for cash. Prices: Over 60s £6, Adults £7, Under 26s £5. • A relaxed and friendly environment in which everyone present within the Picture House will be aware of the needs of dementia sufferers. • Lights left on low to allow people to move about without the risk of tripping, and to see where they are going. • All Picture House facilities clearly labelled and signposted. • Sound level a little reduced. • No trailers, adverts or introductory music whilst waiting for the film to begin, unless they are embedded into the film. • Customers free to sing along to songs within the film or to talk. • Disabled access and wheelchair spaces available – up to 10 in the stalls. • The promise of less than full capacity so you have freedom to move around should you chose to. • Free entry for carers with valid CEA Card.